Clancco » Blog Archive » Who Owns the Copyright to a Tattoo? Who Owns the Copyright to a Tattoo? I should clarify. The question should be, who owns the copyright to a tattoo designed by the tattoo artist? Most copyright lawyers, and enthusiasts, would know that sans a copyright transfer, the copyright belongs to the tattoo artist. So, what’s the big deal? Well, this case, Escobedo v. THQ, Inc., throws an interesting wrench in the copyright machine. The case concerns a mixed martial arts fighter, Carlos Condit, who allegedly licensed his right of publicity to a video game company. So far, so good, right? Well, there’s a little snag which you probably figured out already. Condit has a tattoo of a lion inked on his torso, and the video game depicts Condit with the lion tattoo (presumably true-to-life). The tattoo artist, Chris Escobedo, has filed a lawsuit in the United States District Court of Arizona for copyright infringement against THQ, Inc., the makers of the hit mixed martial arts (“MMA”) video games UFC Undisputed and UFC Undisputed 3. The Legal Satyricon‘s Marc John Randazza has THQ, Inc. winning based on some weird notion of “fairness.” Rendazza agrees that Escobedo owns the copyright to the lion tattoo, but argues that THQ has a fair use argument based on their acquisition of Condit’s publicity rights. In other words, THQ purchased the rights to the tattoo when they purchased Condit’s publicity rights. Randazza argues that if Escobedo were to prevail, it would mean that every tattoo customer who wished to own the copyright to a tattoo designed by the tattoo artist would have to obtain a signed copyright transfer from the tattoo artist. Yes, that’s right. It’s not that hard. Collectors and museums must do the same when they purchase an artwork from an artist and simultaneously wish to obtain the copyright to the artwork. I’ll add what every avid sports fan knows: these days athletes are memorable not only for their feats, but also for their “tough guy” brand (see Allen Iverson and the NBA’s airbrush deletion of Iverson’s tattoos). My call? 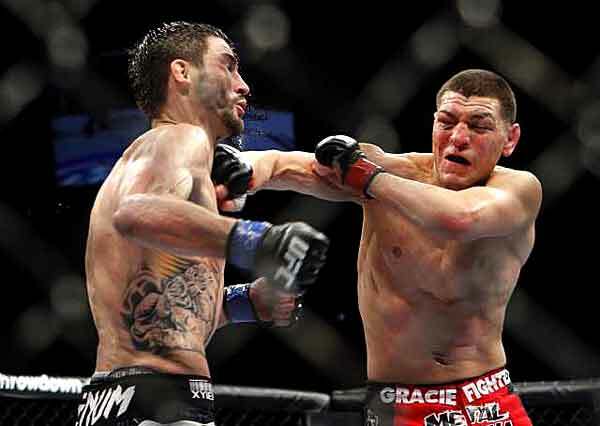 On the fair use question, and assuming no clean title claim by Condit, Escobedo wins. A nonexclusive transfer could occur by an oral agreement or be implied from a course of conduct. In this era of ubiquitous camera phones, a court could find an implied transfer, otherwise every casual photo would technically infringe, and no tattoo buyer would also accept a permanent prohibition on ever being photographed. so if I merely take photo of a person with a tattoo,I need the tattoo artist’s consent? I respectfully disagree. There is an argument to the “implied license” theory, but that theory is limited. It might grant the tattooed person some rights over her/his persona, but not the video game maker, and certainly not for commercial use. There’s a difference between ESPN live telecasts where the camera must zoom in to a player’s numbered jersey, and thus capture the player’s tattooed arms. But this is different than a video game maker licensing Kobe Bryant’s persona and, having the means to edit out his tattoos, do not. Meaning, the video maker could easily license the tattoo images from the tattoo artist. Not necessarily. Again, the bottom line here for me is how that image of the tattooed individual is being used. See my ESPN example above.